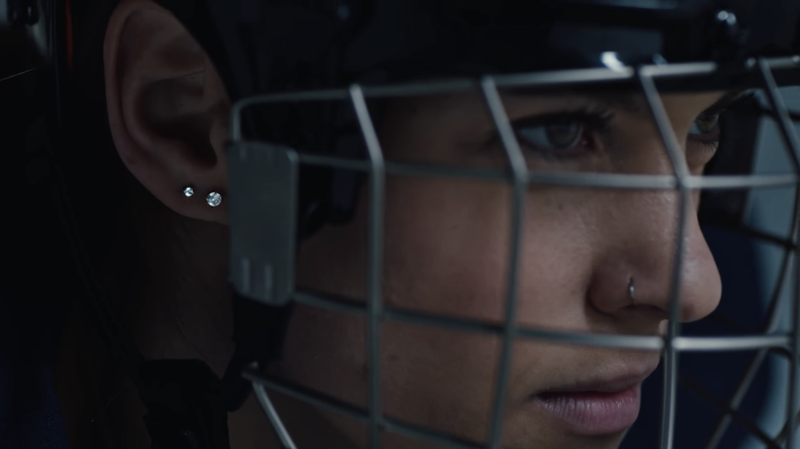 The Diamond Producers Association (DPA) has launched a new video ad campaign for the 2018 Winter Olympics in Pyeongchang, highlighting the connection between diamonds and athletes. The series, called “The Making of a Gem,” features videos of a diamond-wearing snowboarder, an ice-skating pair and and a women’s hockey team in action. The series aims to demonstrate the similarities between their journeys, and the natural forces and elements that make both what they are. “Like diamonds, the immense pressure and the deep inner forces competitors must endure in order to grow strong, find their edge and ultimately shine is an ideal narrative to explore during our most cherished and meaningful celebration of sport and human connection,” said Deborah Marquardt, chief marketing officer for the DPA. The campaign, a partnership between the DPA’s Real is a Diamond and The NBCU Content Studio, features jewelry sourced from a range of brands, including Sydney Evan, Jade Trau, Ritani, Sethi Couture, Barbela, Hearts on Fire and Forevermark.